See below for Tina's recent market activity. Lot Size: 8,032 sq. ft. 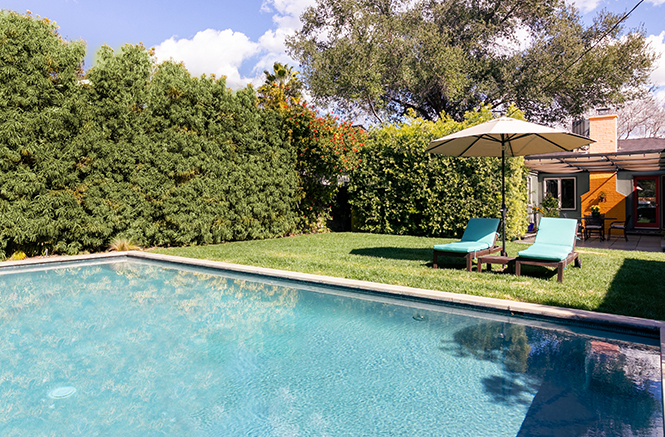 Stunning TOLUCA LAKE OASIS style POOL home with complete privacy. Gorgeous updated 3 bed, 3 bath, 1,967 s.f. Contemporary with 2 large master suites & gorgeous curb appeal! A large 8,032 s.f. lot provides an expansive grassy yard, beautiful landscaping, mature privacy hedges, covered patio for outdoor dining and a full size pool added in 2006. 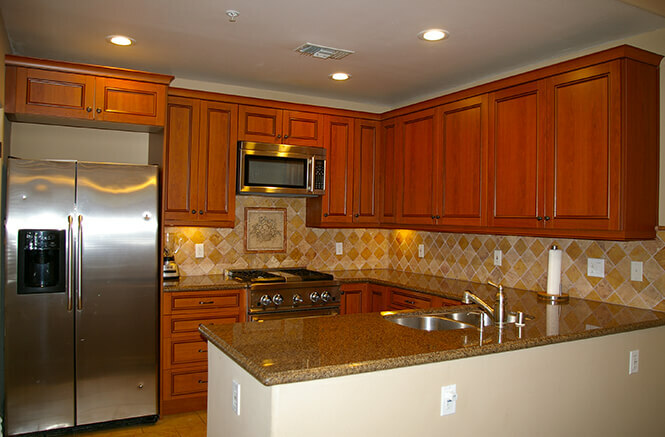 The remodeled kitchen has granite counters & stainless appliances. A formal dining room will host plentiful holiday gatherings, & the spacious living room has a gas and wood-burning fireplace. 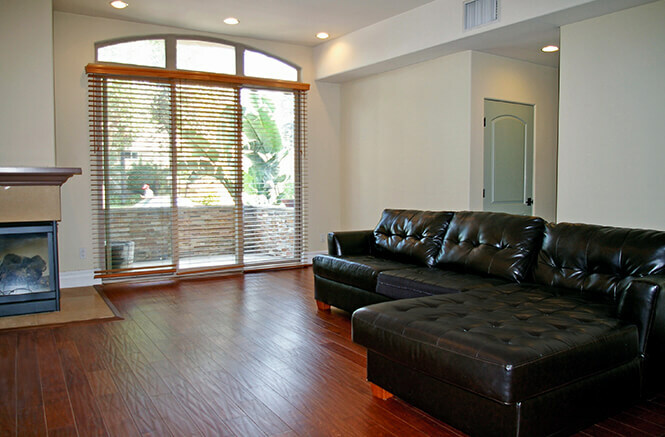 Pristine Ebony wood floors span the majority of the home, & most of the housing systems have been upgraded. 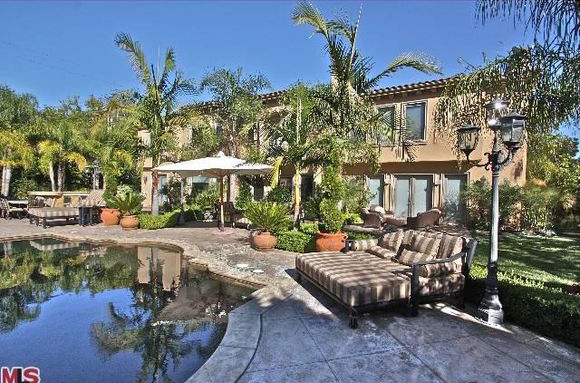 Enjoy the wonderful indoor/outdoor flow, perfect for entertaining & enjoying the California lifestyle! 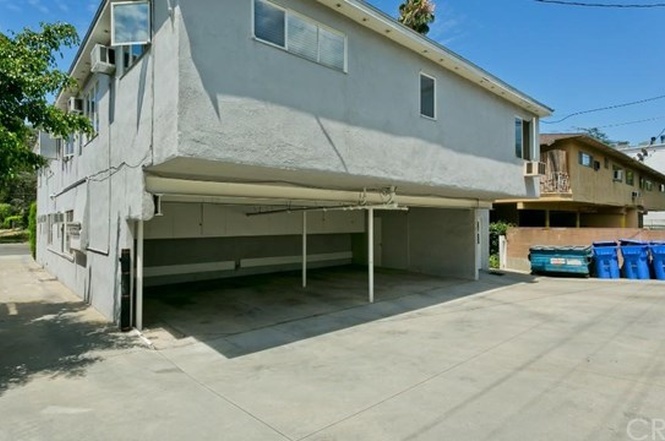 An attached carport makes the garage a wonderful option to convert to an ADU (Accessory Dwelling Unit), which could serve as a fourth bedroom, in-law suite, home office, pool house/cabana & more! 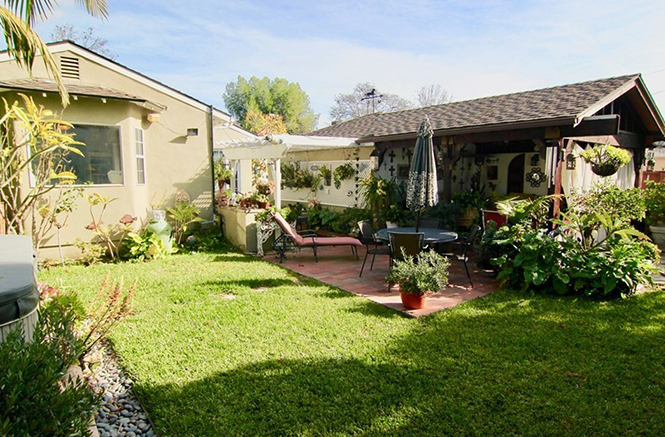 Amazing central location on a cul-de-sac street, in close distance to all the shops and restaurants in Toluca Lake Village, the Chandler Bike Path, Magnolia Park in Burbank, & the NoHo Arts District! Lot Size: 5,200 sq. ft. 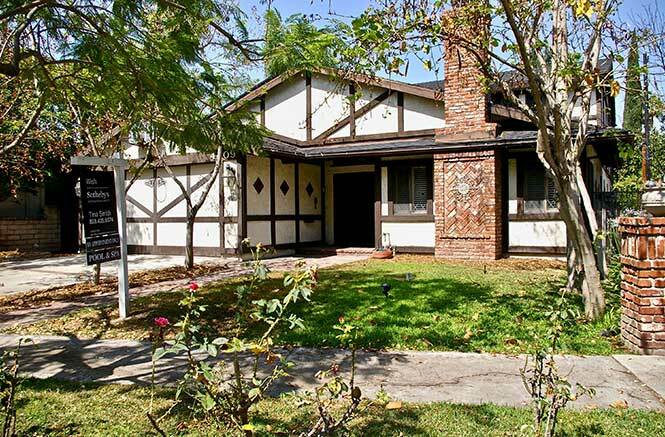 Character drenched Storybook Traditional in prime South of Ventura Silver Triangle location! Breathtaking street with a canopy of mature Sycamore trees create a magical setting for this endearing home with great curb appeal! 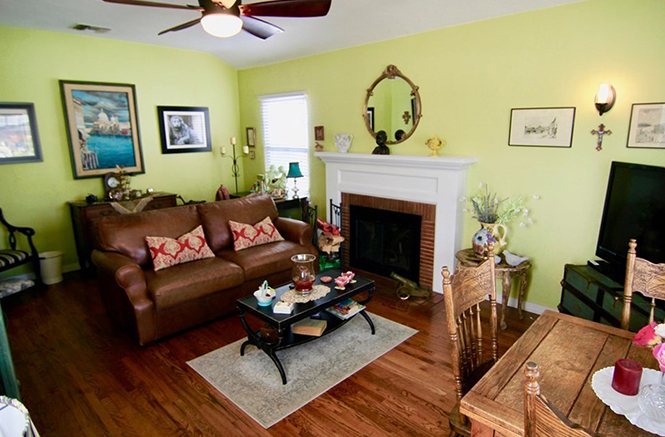 Formal Living Rm with fireplace & wood floors has plentiful windows w/ wood shutters & an abundance of natural light. 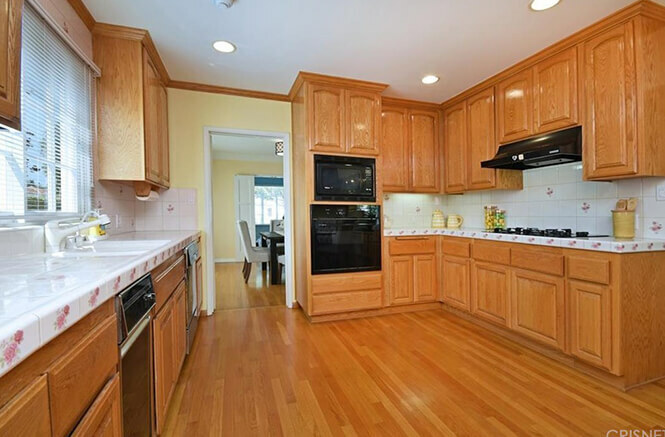 A delightful sun-drenched kitchen has access to the deck/yard and spills effortlessly into a charming breakfast room! Formal Dining with Wainscoting will host your large gatherings, and opens to a large den w/ fireplace, which could easily be converted to a 3rd bedroom. 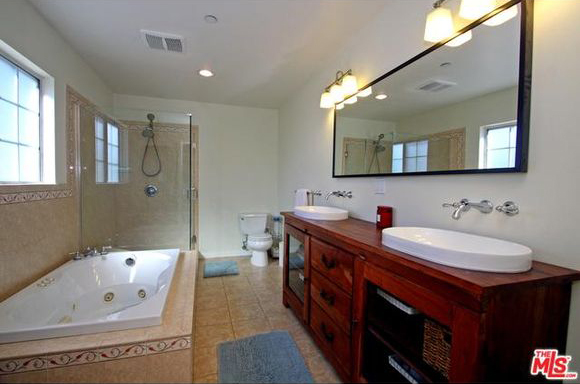 Master retreat has a walk-in closet & remodeled attached full bath. 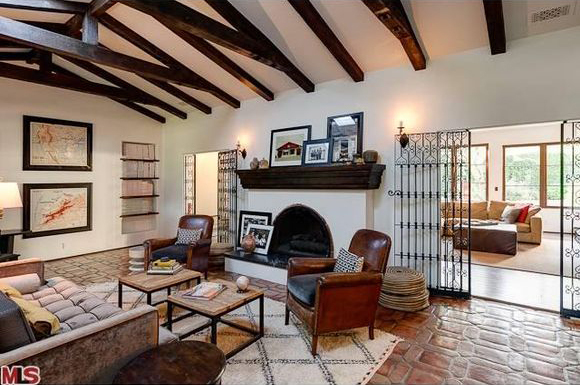 The cozy den has a wood beam ceiling, double sets of French doors opening to a deck w/ romantic brick courtyard & mature orange tree, creating great indoor/outdoor flow. 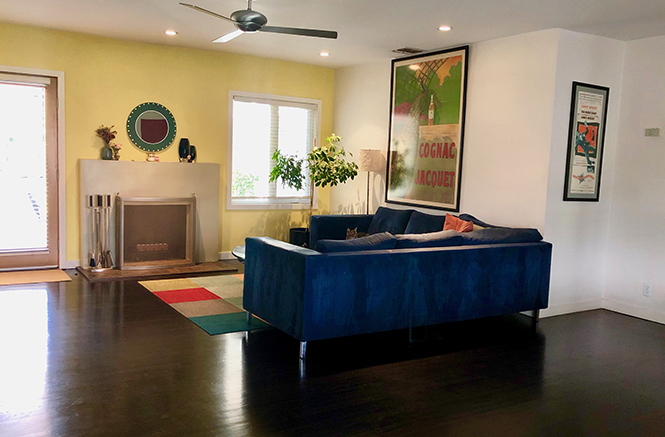 Located in close distance to all the shops, fine dining, yoga/exercise studios & boutiques on Ventura, along w/ the desirable "10" rated Carpenter Elementary! This gorgeous traditional is just steps away from the Chandler Bike Path and from all of the quaint shops that Magnolia Park has to offer! 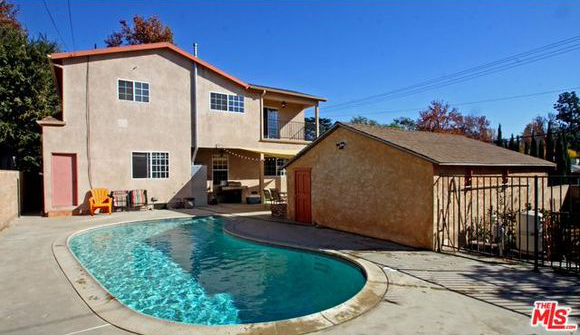 Boasting almost 1900 SqFt, this is one of the largest two bedroom homes on the market in beautiful Burbank! The charming home features two bedrooms and two bathrooms. The spacious master suite has a large walk-in closet, a grand bathroom, and opens to the lushly landscaped rear yard. 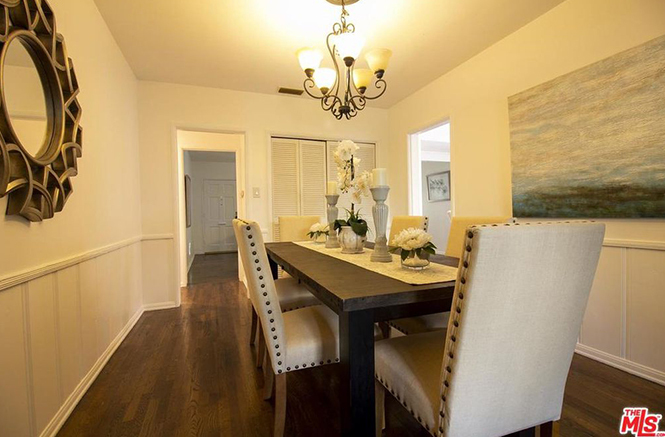 The formal dining room features wainscoting and refinished hardwood floors. 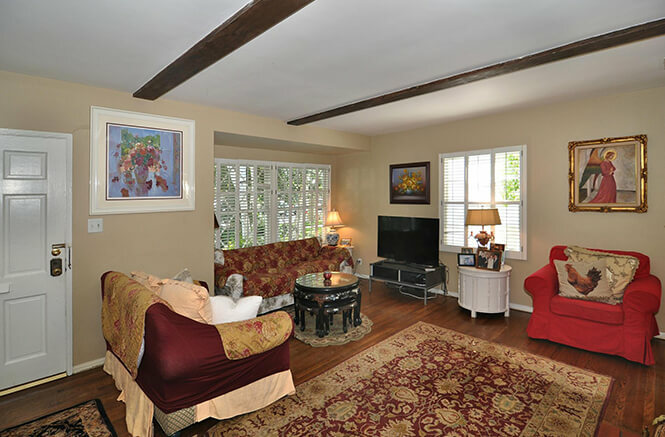 The formal living room has a fireplace and lots of natural light, in addition to its refinished hardwood floors. It is off to the side and could be converted into a second large master suite. It is big enough for a master walk-in closet and master bath. 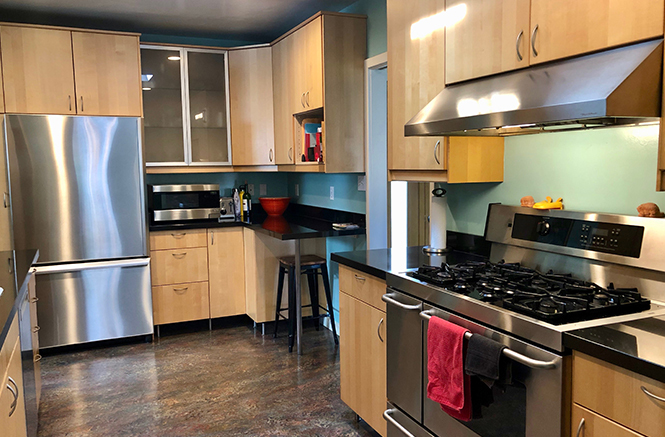 The large galley kitchen has recently been tastefully remodeled and there is a combo laundry room and pantry. The over-sized family room is tiled and also opens to the private rear yard, which highlights lush vegetation, an outdoor living room, and a spa. There is a 2-car detached garage, and plenty of parking space in the driveway. The roof is only 3 years old. 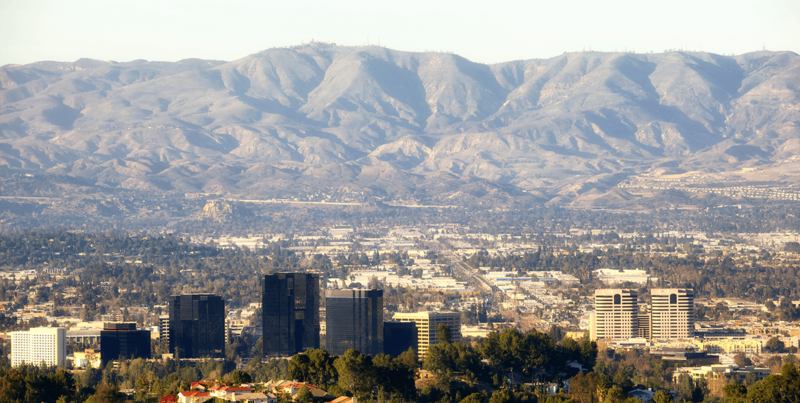 Located within 2 miles from the Disney studios, Warner Brothers, Nickelodeon, and The Burbank Studios! Perfect for a family or someone who works at one of the nearby studios! Location and condition make this a gem! 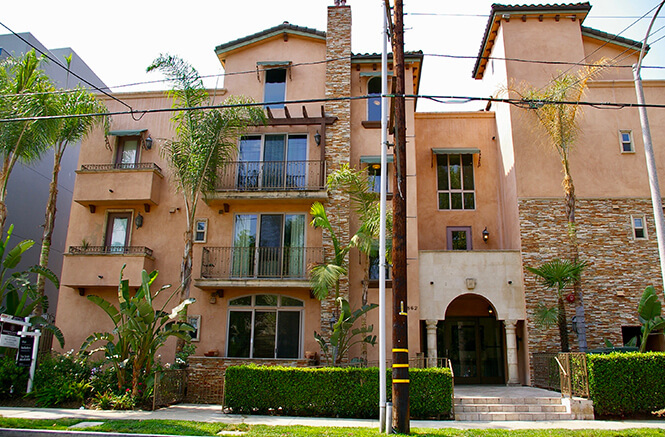 Stunning sun-drenched Tuscan style Toluca Lake front-end unit with only one common wall! Updated throughout with high-end finishes, expansive room sizes and high ceilings throughout! Two spacious en-suite bedrooms with custom bathrooms and gorgeous tile work. 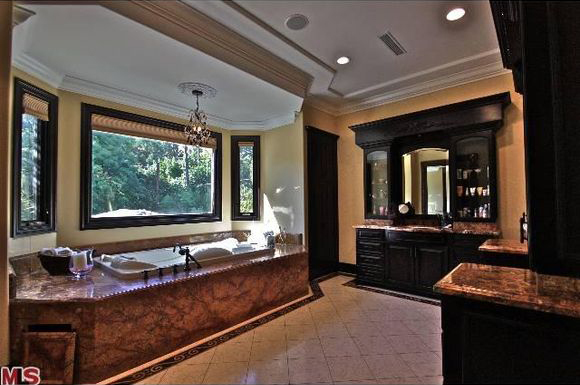 Master Suite has 3 large closets, and a double vanity bathroom with Travertine tile, copper sinks, antique style cabinetry/fixtures and a spa tub. Gourmet kitchen with granite counters, decorative tile backsplash and stainless appliances opens to a large dining area and living room with fireplace. Flowing open floor plan perfect for entertaining with seamless indoor-outdoor flow. Gorgeous engineered wood floors throughout the living space and a spacious front patio to enjoy Summer nights, BBQ's and winter showers. Recessed lighting throughout, central HVAC and community rec room. Gated subterranean parking with two tandem parking spots and storage. In-unit washer and dryer are included. 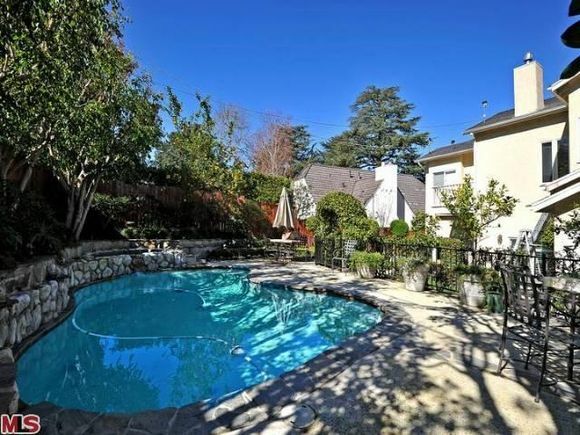 Fabulous central location close to everything, including all the shops and restaurants in the Toluca Lake Village, the Metroline station, Universal Studios/NBC Universal, NoHo and all the studios in Burbank! 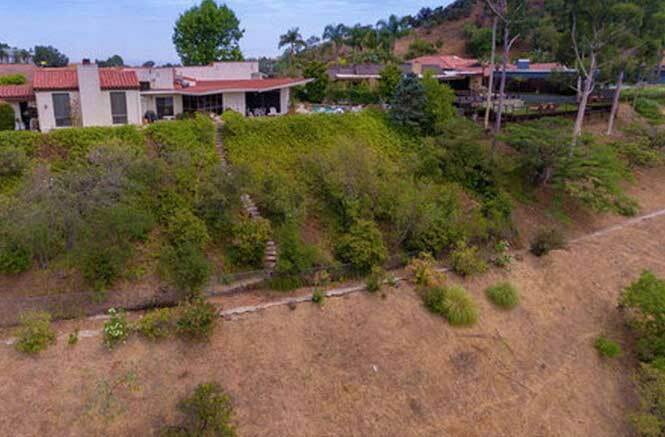 Perched upon the rolling rises of Beverly Hills at the end of a cul-de-sac just adjacent to Beverly Park, this expansive 84K+ double lot view property offers development opportunities to create a one of a kind masterpiece! 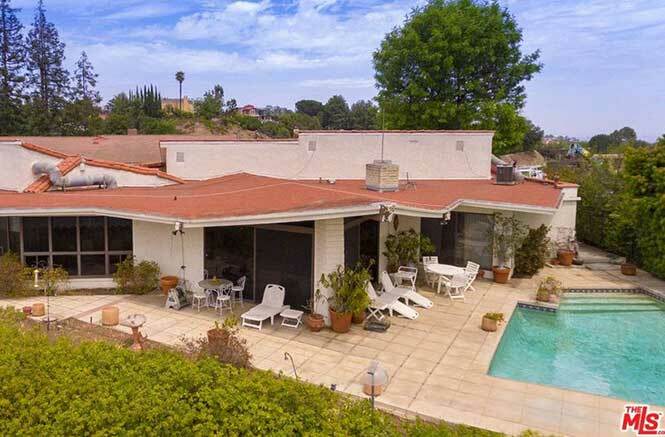 Build new, or remodel and/or expand this well preserved 70's built diamond in the rough. Tucked away from the chaotic energy of Los Angeles w/ expansive views from almost every room, the possibilities are endless. You will feel a world away, surrounded by greenery, mature trees, nature, wildlife & gentle canyon breezes in an ultra-private setting. 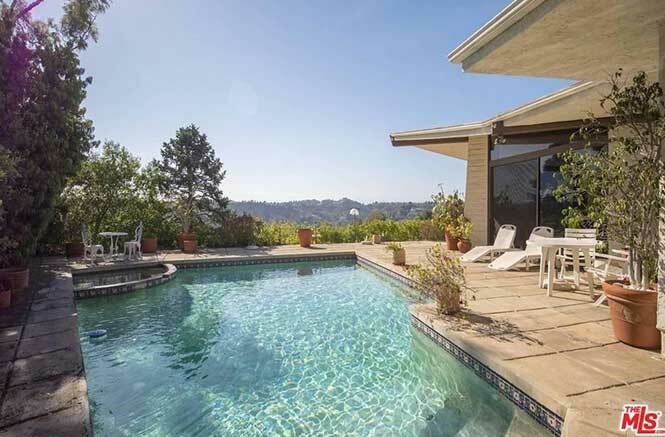 This sprawling single story estate has been in the same family for many decades & has been the host of many Beverly Hills soirees throughout the years. 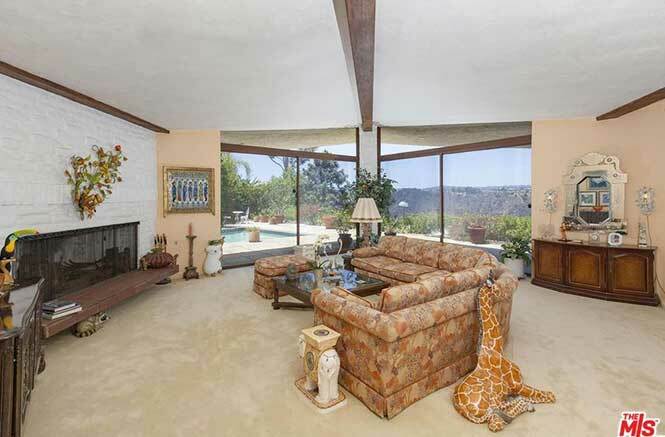 An expansive floor plan showcases walls of glass & views from most rooms. 20,060 s.f. can be built new, or 13,697 added to existing s.f. If you have been waiting for that magical setting to build your dreams or remodel to your heart's content? You've finally found it. DIAMOND IN THE ROUGH! Tremendous potential!!! Half way through remodel & sellers threw in the towel?their loss is your gain! Awaiting your finishing touches to make this a designer's showplace! 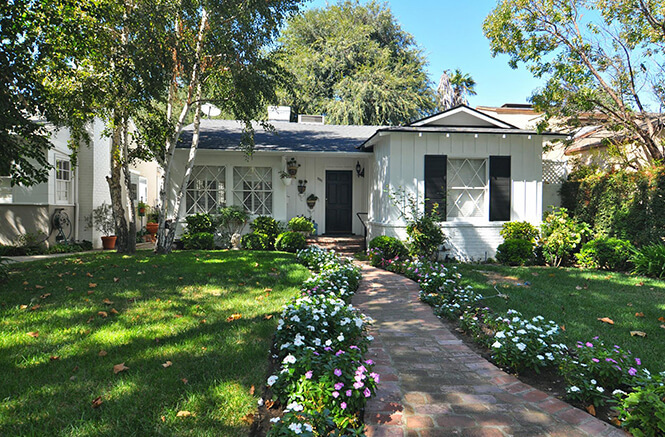 PRIME S. of RIVERSIDE location, just a block from all the shops & restaurants in Toluca Lake Village & Lakeside Country/Golf Club! 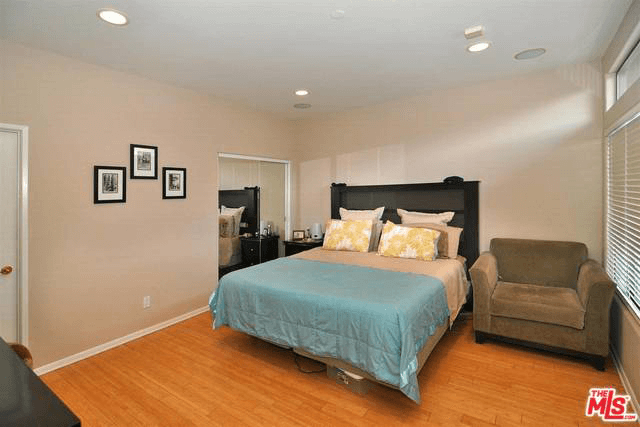 LOWEST PRICE PER SQUARE FT. S/RIVERSIDE @ only $505/SF! Fix & Flip or great for end user, INSTANT EQUITY! PERFECT floor plan, w/ huge rooms & everything in the right place! Kitchen, laundry & powder room remodel just completed. 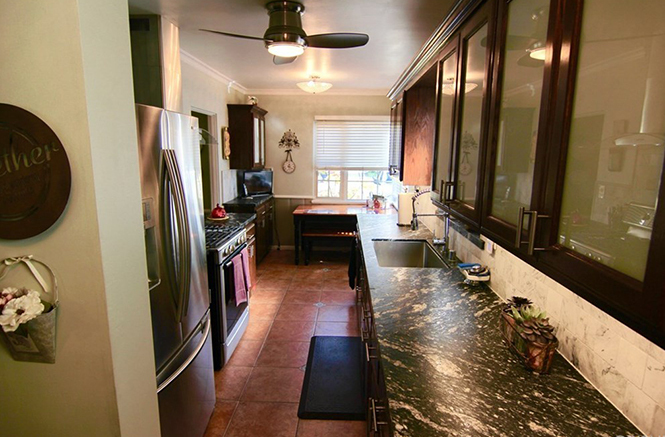 Remodeled kitchen has center island w/ white Quartz counters/stainless appliances, open to large fam. room w/ great indoor/outdoor flow to pool/spa. 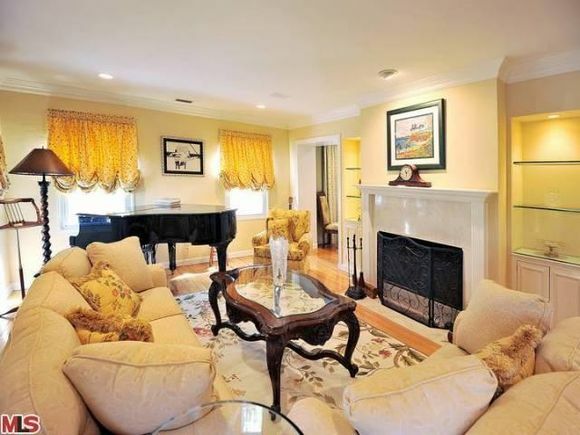 Huge formal dining & living room to host large gatherings, & 3 fireplaces! All 3 upstairs bedrooms very generously sized+downstairs guest/maid's bed/bath. Huge master retreat w/ great closet space & sauna. 70k in solar panels owned & included. AMAZING neighborhood w/ very low inventory! 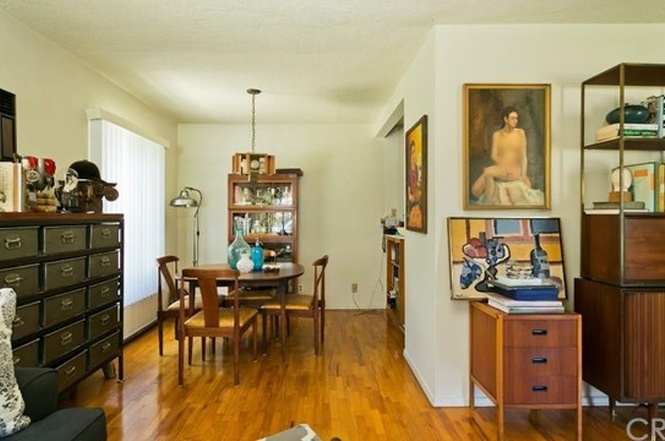 Rare offering pride of ownership building with hearty unit mix with NO RENT CONTROL. There are four large 3+2's and one large (2+1) Units are very spacious, total square footage of units is 6,730. ONLY $274.39/s.f. 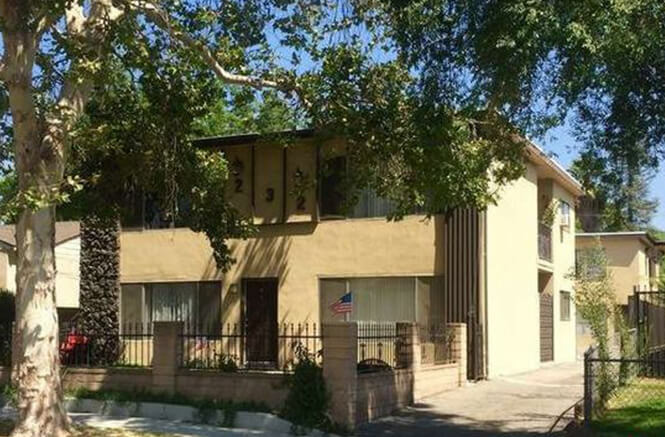 for non-rent controlled Burbank with tons of upside! Average unit size is approximately 1,346 s.f. Great central location close to the Equestrian center, major studios and freeways, with access to Burbank's desirable schools and services. Stable long-term tenants and low maintenance/expenses. 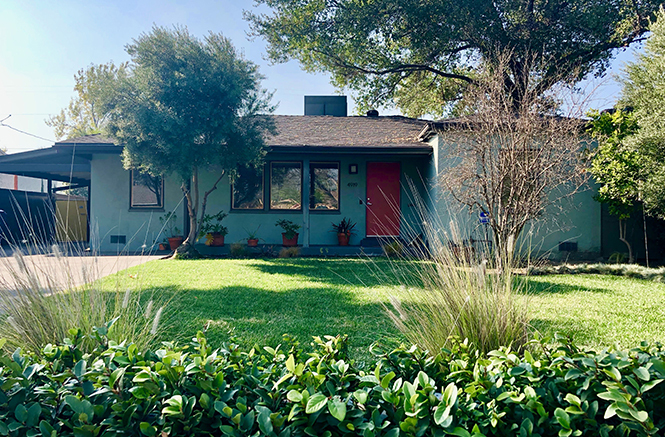 This gem of a building offers units larger than most starter homes in Burbank, which makes for an easily rentable asset, bringing in $90,600/year. 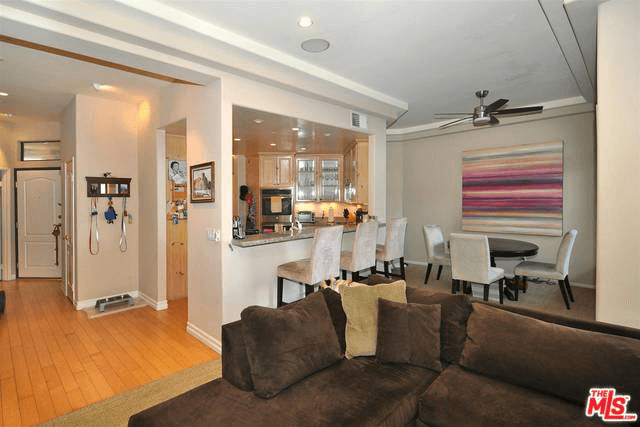 Stunning light flooded Penthouse w/ high ceilings throughout; 3 outdoor patios w/ greenery views! 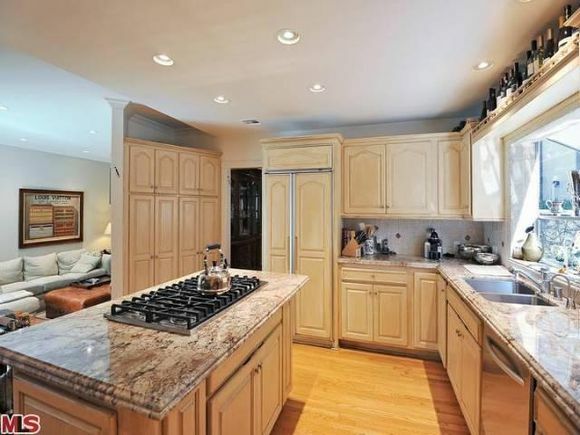 Open granite kitchen w/ stainless double oven & breakfast bar, open to family/living room w/ gas & wood burning fireplace. Two large en-suite master suites: true Master has balcony, large walk-in closet & sumptuous master bath. Secondary bedroom has built-in bookshelves & a Murphy bed, perfect for everyday use or for out of town guests! An abundance of picture windows showcase an array of scenic treetop views. Tucked away from street noise in a very quiet location, w/ direct access to a private rooftop deck. Indoor laundry area. Secured underground spacious side-by side parking for 2 cars. 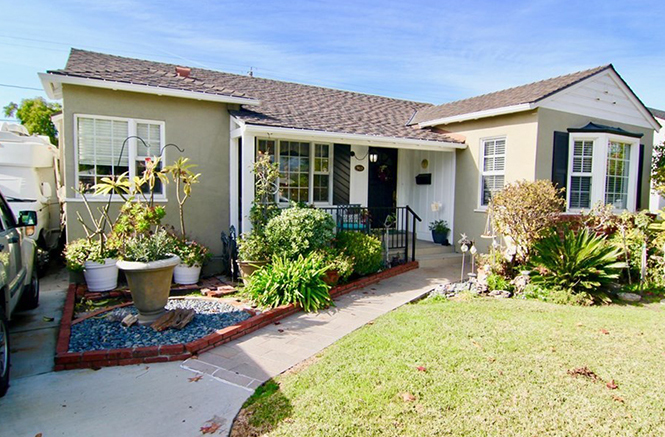 Located just around the corner from coveted 10 Rated Carpenter Elementary, CBS Radford Studios, fine dining,Trader Joe's & close walking distance to the Sunday Farmer's Market, hiking trails & the best of the Ventura Strip! 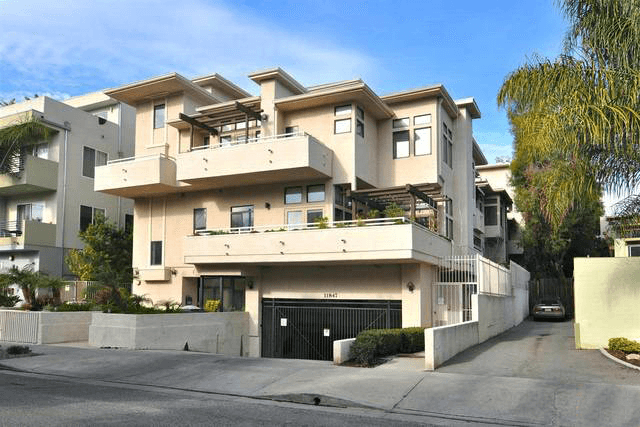 Rare find condo location S/Ventura surrounded by multi-million dollar SF homes! 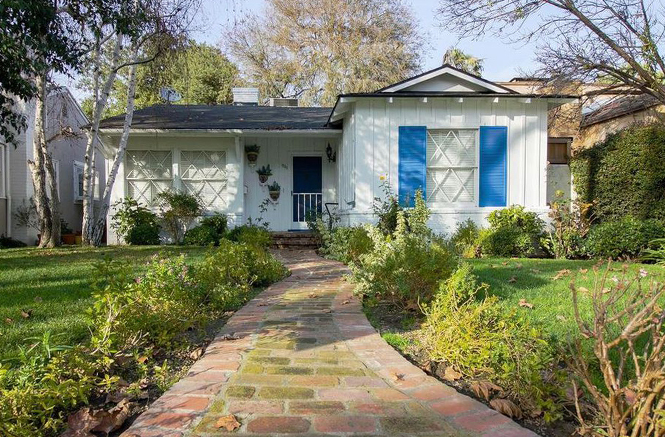 Character drenched Storybook Traditional in the prime S. of Ventura, Silver Triangle area of Studio City! Stunning street with a canopy of mature Sycamore trees creates the most magical setting for this endearing home with great curb appeal! Follow the charming brick path and blooming foliage to the inviting front entry. A formal Living Room with fireplace and wood floors has plentiful windows with wood shutters and an abundance of natural light. 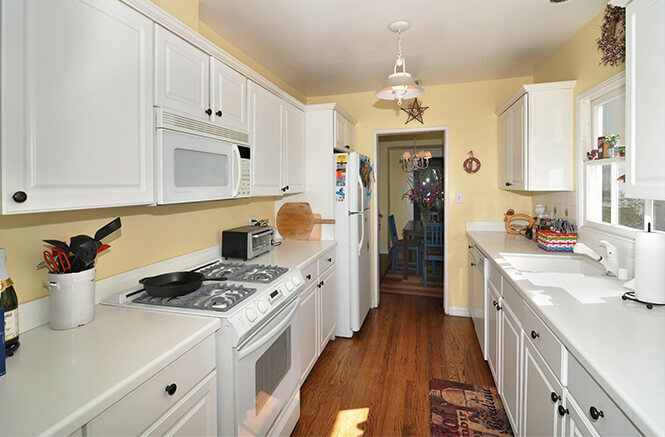 A delightful sun-drenched Galley style kitchen has access to the deck/yard and spills effortlessly into a charming breakfast room perfect for morning coffee! A Formal Dining room with Wainscotting and built-in storage is perfect for hosting large gatherings or intimate dinners. 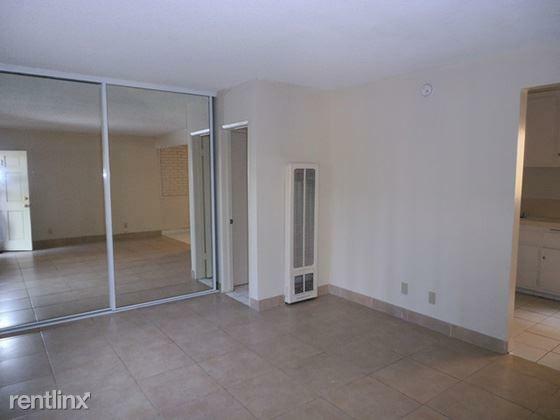 Opening to a large den with fireplace, this room could easily be converted to a third bedroom. The Master retreat has a walk-in closet and remodeled attached full bathroom. A secondary bedroom also has a walk-in closet and close access to the second full bath. The cozy Family Room opens to a relaxing deck with romantic brick courtyard and mature orange tree with detached 2-car garage. Indoor laundry room makes for an added convenience to this already functional floor plan. 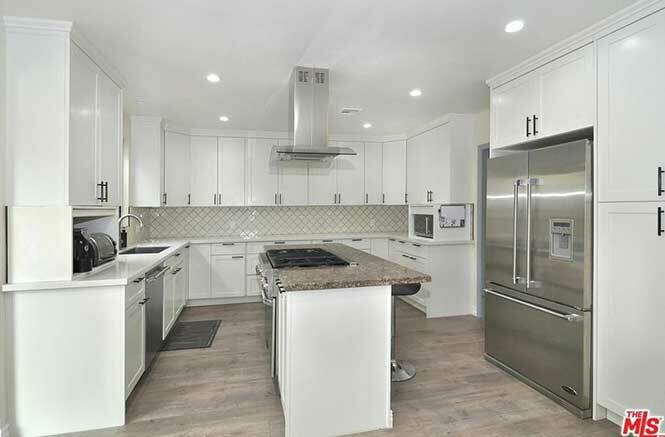 Located within close walking distance to all the shops, fine dining, yoga/exercise studios and boutiques on Ventura Blvd., along with the ultra-desirable "10" rated Carpenter Elementary School! 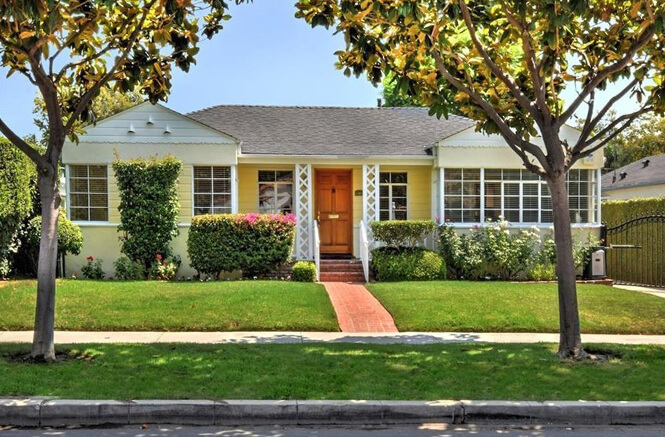 This charming custom-built home is located in Toluca Lake, one of Los Angeles’ most highly acclaimed and sought after neighborhoods. The home hearkens back to a time when character and craftsmanship were the hallmarks of residential architecture. The sensible floor plan boasts three bedrooms and two baths located within 1,852 sq. ft. 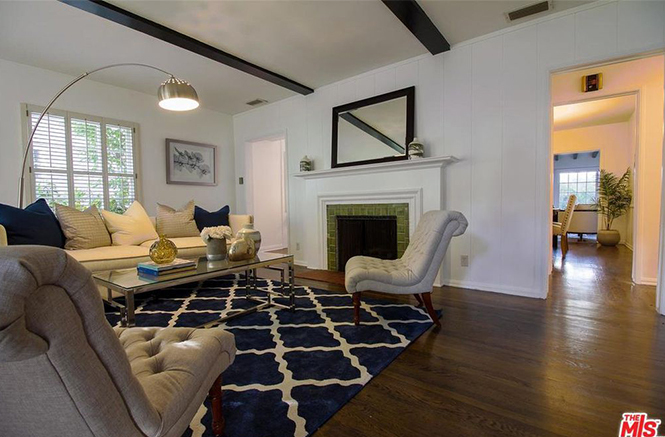 The living room is ideal for formal entertaining or simply lounging by the fireplace. Perfectly suited for intimate family gatherings or entertaining the generously proportioned kitchen opens to the large family room. From here, doors create the perfect flow to a spacious, covered patio ideal for al fresco dining and outdoor entertaining. The spacious dining room will accommodate your most formal affairs. White oak wood flooring, Central air/heat, built-in Sub-Zero, and security system are just a few of the features that complete this wonderful, well-maintained home. 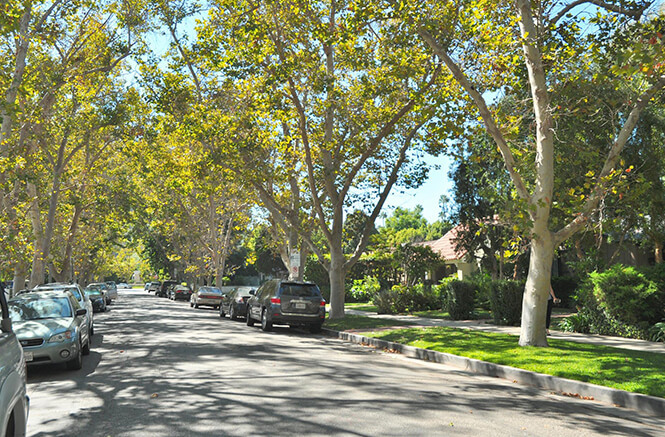 Located moments from major studios and just steps from Trader Joe's, village boutiques, restaurants and charming cafes. The old-fashioned charm of this house shines through every inch of its exterior. 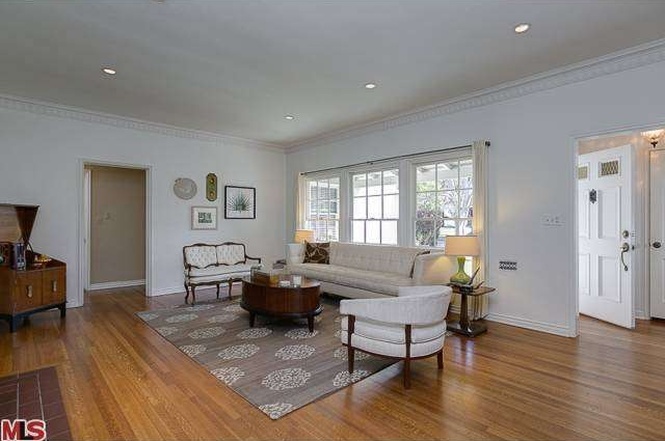 A sizable living room welcomes you inside, hardwood floors gleaming under recessed lights. A gas fireplace is an elegant feature, and there's another in the formal dining room. With exposed wooden beams, abundant natural light, and a jazzy wetbar & wine chiller, the family rm is an ideal area for entertaining. 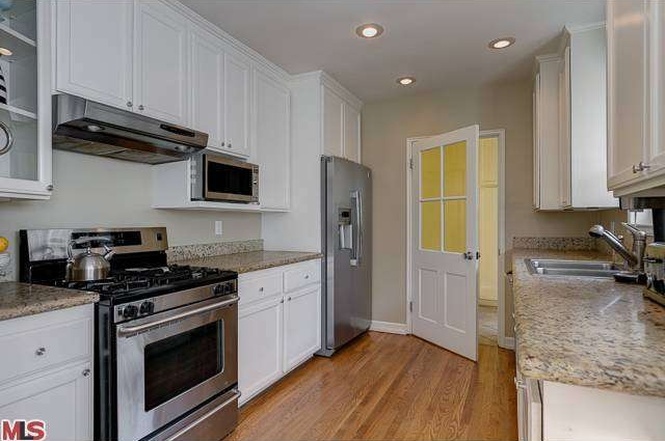 The kitchen offers stainless steel appliances, granite counters, & breakfast nook. Other rms include an office area & a laundry rm with built-ins. The master bedrm has a walk-in closet, & the master bath includes a vanity table. 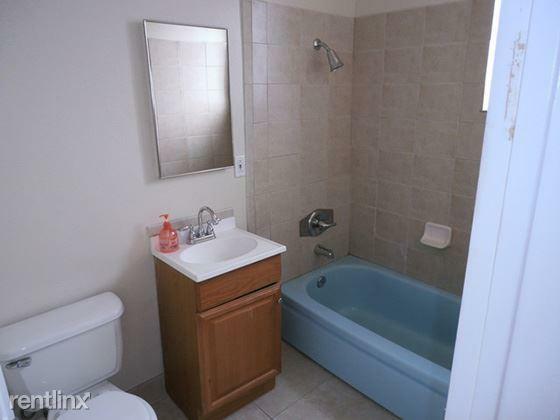 The other two bedrms & second bath are comparably welcoming. The back lawn is surrounded by countless trees and fencing. A patch of gravel is the perfect spot for outdoor dining. The two car garage handily accommodates large families. Those seeking a buoyant and stylish living space have found the answer to their prayers in this cheerful, evocative house. 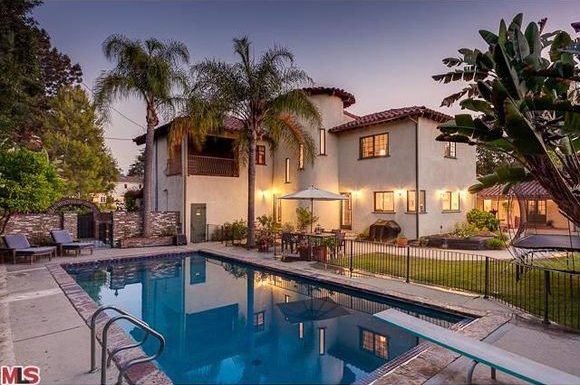 This 5 BR & 6 BR Spanish beauty balances prime Toluca Lake location w/ privacy. The DBL lot is entered from 1 of 3 gates leading to ample parking. Brick arches w/ wrought iron doors lead to the rear yard & a 2-story entrance opens to a grand foyer w/ curved staircase. The tiled LR, w/ exposed beams & FP steps up to the formal DR while also leading to the family room w/ matching FP, wood floors & an expanse of windows & glass French doors opening to 1 of the rear patios w/ fountain. The chef's kitchen affords stainless steel appliances & a Thermador gas range w/ grill around a center island w/ second sink. Step out to a 2nd patio by the salt water pool (redone last summer). A wing on the main level has 2 bedrooms w/ baths. The master suite is on the 2nd level & features a steam shower & sauna. A 4th bedroom w/ bath on the 2nd level & a 5th bedroom suite w/ private, lower level entrance, complete the living quarters. There is incredible indoor/outdoor flow - perfect for entertaining. 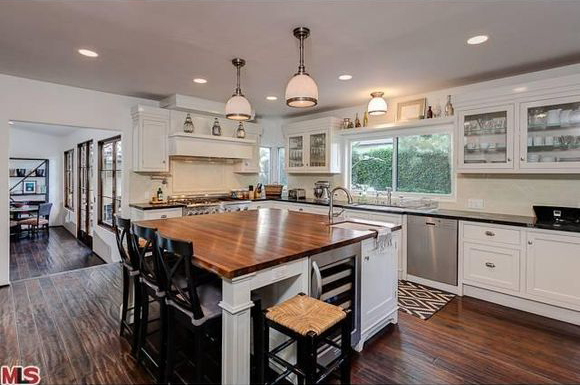 Gorgeous Remodeled Traditional with Spanish flair in prime Burbank, close to Toluca Lake! Newer systems including roof, electrical, plumbing, central heat/Air, fire sprinklers, wood floors and more! Upstairs Master retreat has two sitting areas, walk-in closet and expansive master bath with spa tub, separate shower and custom dual sinks with antique cabinetry. 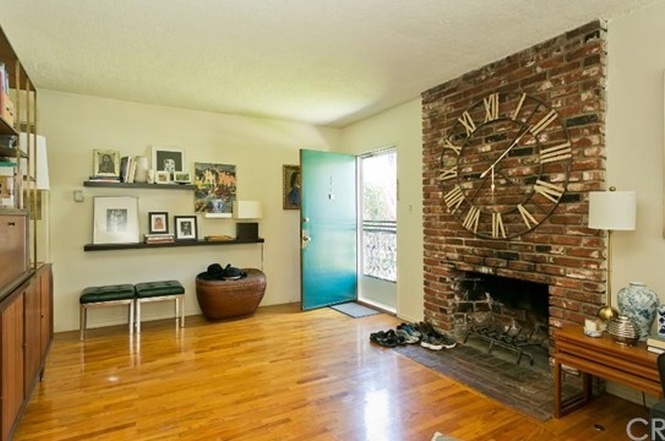 Distressed wood floors through most, sunken family room off kitchen and formal dining room. Original master downstairs makes an ideal guest suite. 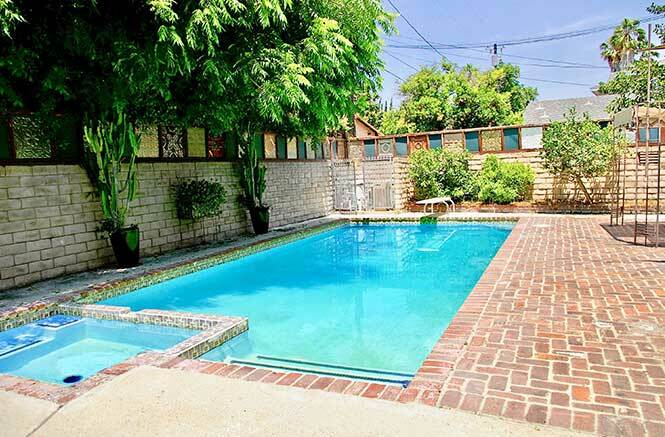 Spacious yard has a sparkling pool, outdoor half-bath, gated grassy yard with fruit trees and an abundance of patio/lounging space. Corner lot in close walking distance to Stevenson elementary, Warner Bros., Disney, Toluca Village and all the shops and restaurants on Magnolia. 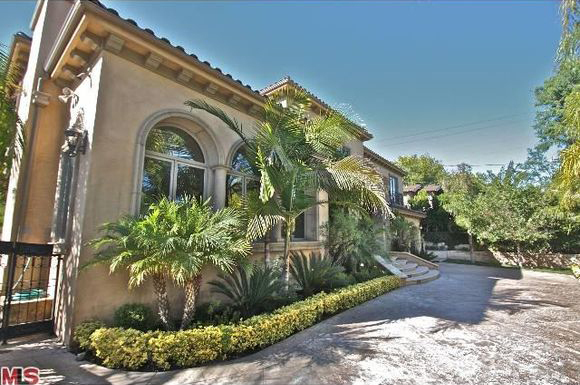 Truly one of the most spectacular homes in Encino. Situated on corner lot, the home offers all that one would desire. Enter through the crystal inlaid mahogany doors, you will be wowed by the 23 foot high ceiling and the grand double foyer. Beautiful walnut and stone flooring as you enter the kitchen of your dreams. 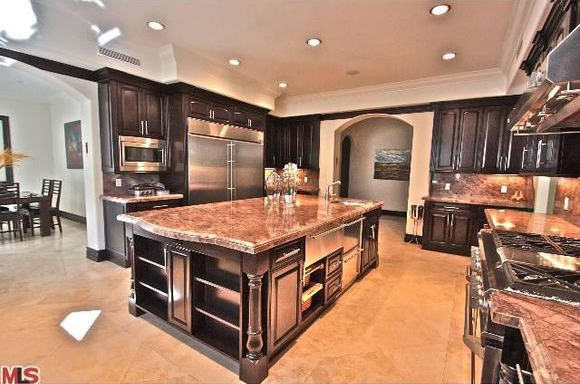 Massive 72 inch stainless steel refrigerator, two dishwashers, espresso maker, and an island that will make you smile. A 2000 SF master suite with his and her closets along with generously-sized bedrooms which also feature walk in closets and full bathrooms are conveniently located upstairs. Outdoors, experience authentic alfresco living with a gorgeous salt water pool with jacuzzi and a romantic waterfall, a secluded firepit surrounded by a gazebo, beautiful lighting for sun down entertaining, and a gourmet outdoor BBQ area with all the chef would need. Oversized 3-car garage complete this magnificent home. Paradise awaits. Master retreat is over 1,000 +/-s.f. 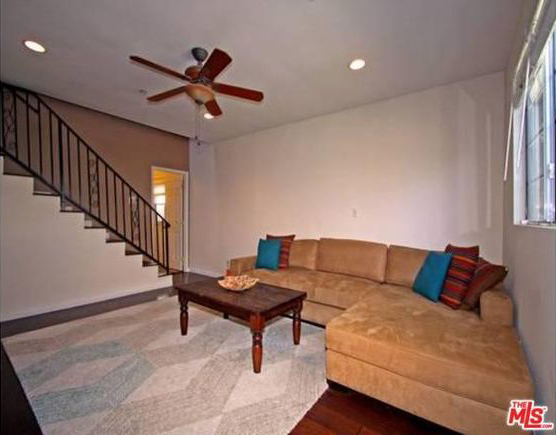 with 9 ft. clngs, crown molding, expansive closet space including custom walk-in, 2 sitting areas, fp & private balcony. 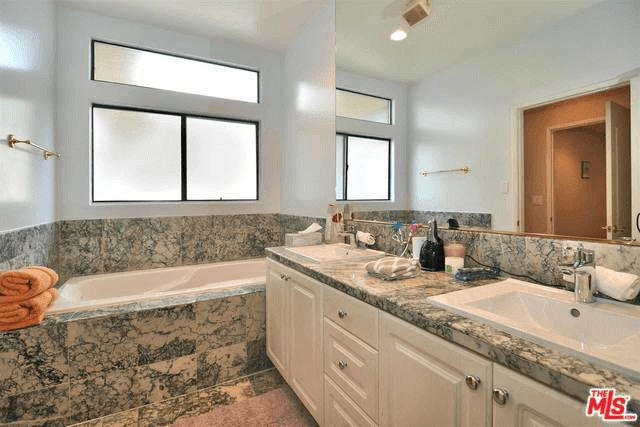 Mstr bath was recently remodeled w/ Diana Royal Marble & Emperador granite, w/ double sinks and a vanity. A whirlpool bath & double steam shower w/ rainhead body jets & Hans Grohe brushed nickel fixtures create the ultimate spa experience. Gourmet eat-in kitchen w/ lrg. center island, top of the line appl., custom Ash cabinetry, oak floors & Typhoon Bordeaux premium granite. 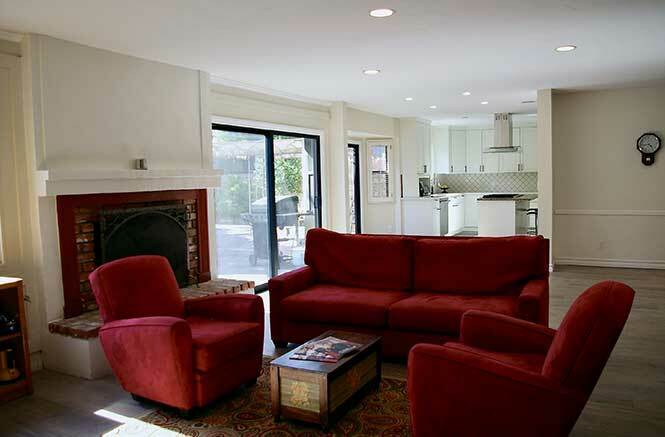 Cozy den w/ built-ins opens to kitchen & yard creating a seamless indoor/outdoor flow. Frml dining rm w/ wainscotting, oak floors & built-in speakers. 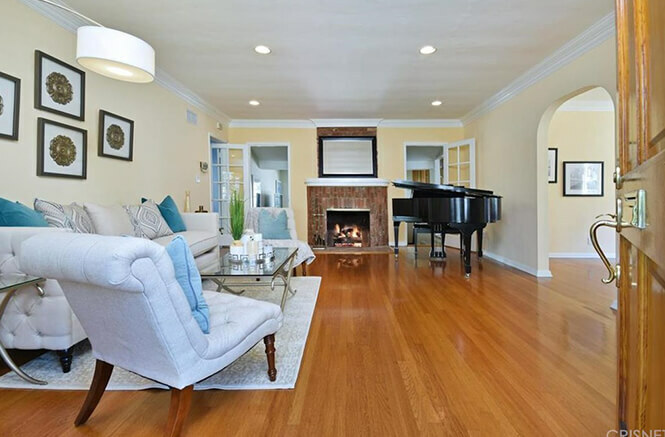 Living rm w/ rebuilt fp and oak floors boasts perfect musical acoustics created by hardwood over an airspace. Property has hard wired speakers, intercom & alarm. 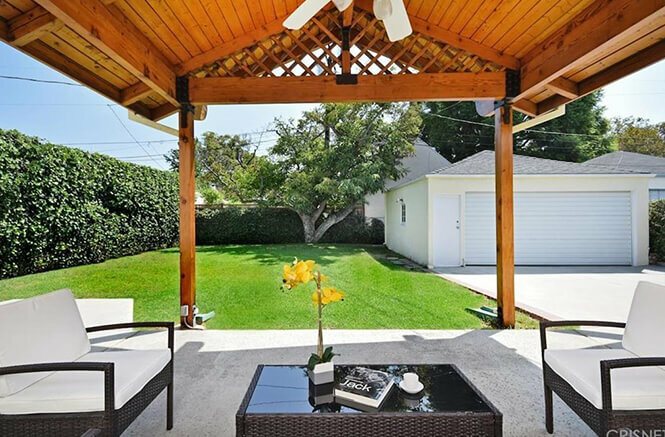 Picturesque neighborhood is walkable/joggable/bikable with sidewalks & tree lined streets in close walking distance to Ventura shops and dining. 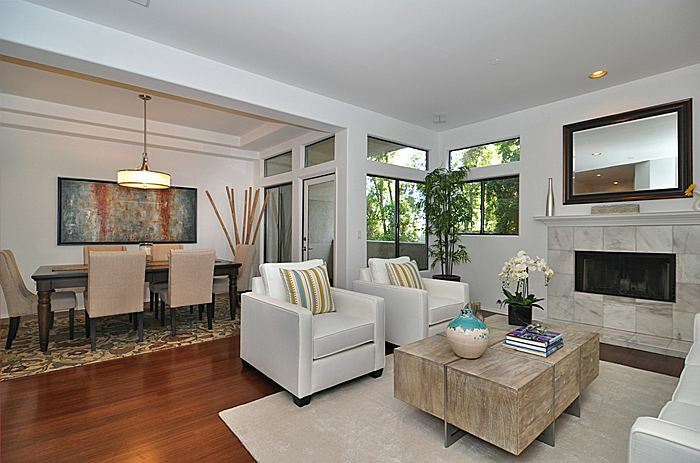 Stunning remodeled 2BR+2.5BA, Contemporary Studio City Penthouse in the highly acclaimed Carpenter School District! Just a sampling of the interior features include high ceilings throughout; three outdoor patios with greenery views, recently refinished wood floors, granite kitchen with newer appliances, indoor laundry area and a gas & wood-burning fireplace. 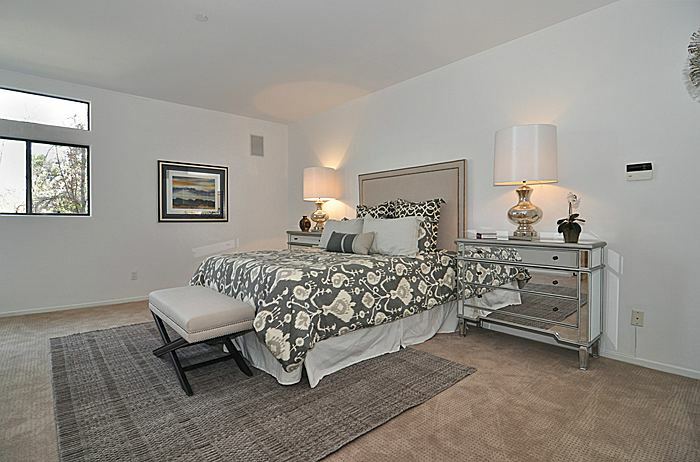 Two large en-suite master bedrooms of this top floor unit each have expansive walk-in closets, & sumptuous full bathrooms with semi-frameless showers with brushed nickel fixtures and accents throughout. A central audio system spans the living room and bedrooms, adding the perfect ambience for social gatherings and everyday enjoyment. Flooded with natural light, there is an abundance of picture windows showcasing an array of scenic treetop views. Tucked away from street noise in a very quiet location, this is the only unit with direct elevator access to the rooftop deck, spa and picturesque views. A secured underground garage has two side-by-side parking spaces and direct access to the unit. 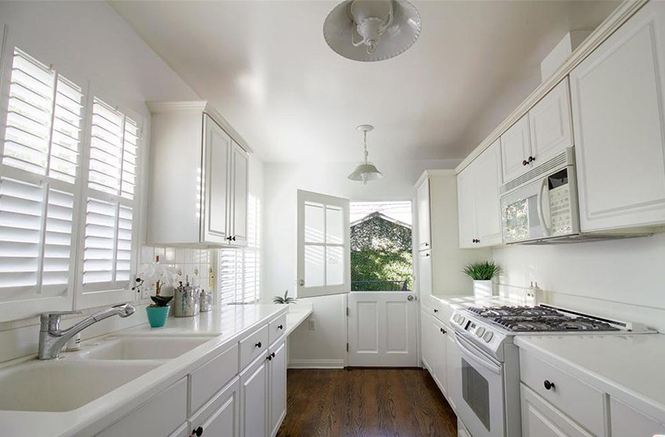 Located in prime Studio City, you are just around the corner from award winning Carpenter Elementary School, (10 rating, 943 API score) CBS Radford Studios, Joan’s on Third, Katsu Ya, Trader Joe’s and close walking distance to the Sunday Farmer’s Market and the best of the Ventura Strip. 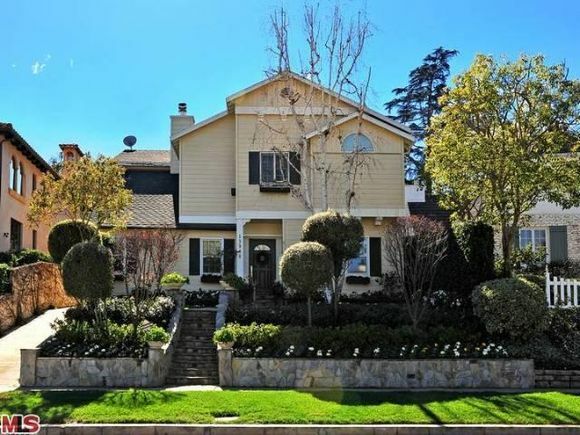 Super prime Toluca Lake location!! 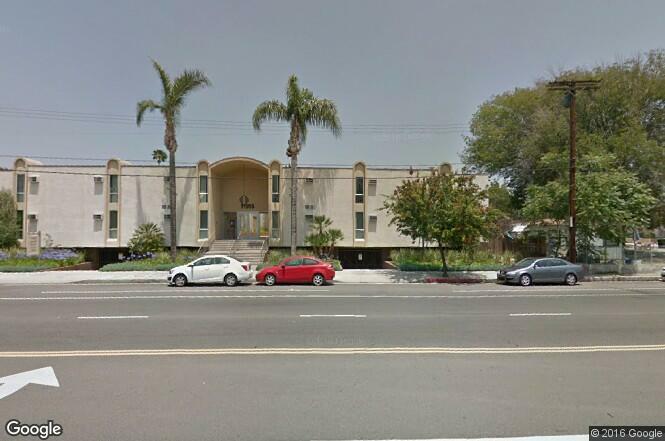 This mid-century 5 unit building is a family trust liquidation! 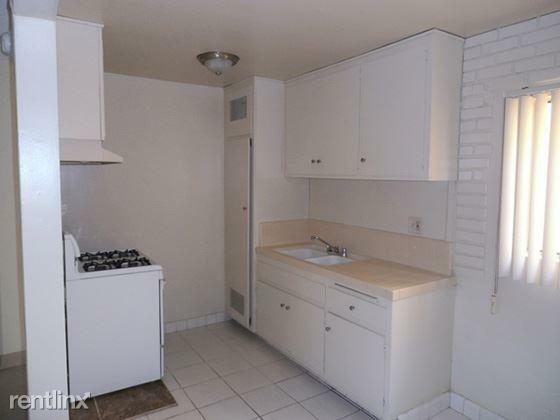 Features include hardwood floors, laundry room, and fireplaces in two units! Rents are $1453.60, $1299.60, $1442, $1471.26, and $1325. 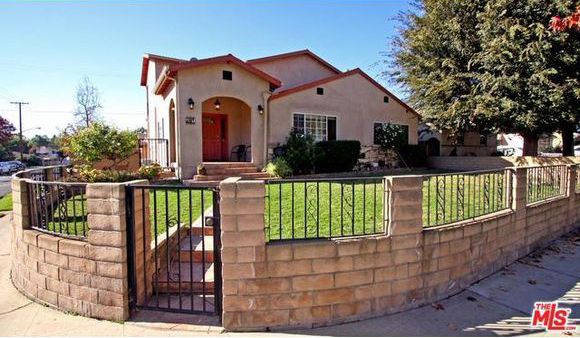 4837 Clybourn Ave is a multi-family home in Los Angeles, CA 91601. 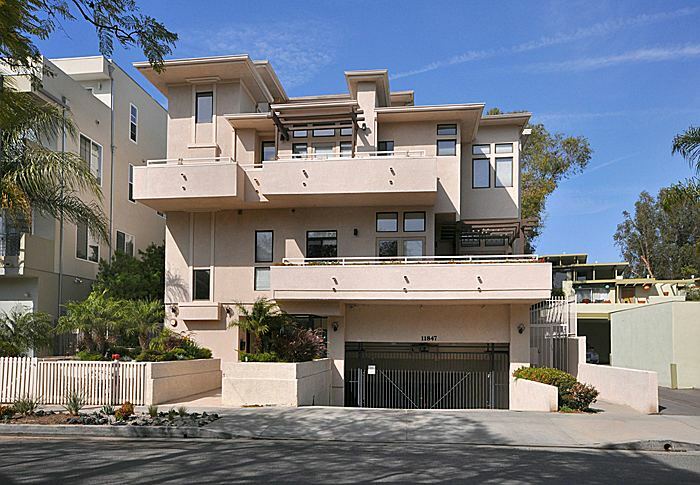 This 6,203 square foot multi-family home sits on a 9,266 square foot lot. This property was built in 1950. Nearby schools include Toluca 'crossroads' School, Toluca Lake Elementary School and Media Center Montessori Infant/Toddler. The closest grocery stores are Mizrahi Brothers Inc, Summerland Foods and Trader Joe's. Nearby coffee shops include Starbucks, The Coffee Bean & Tea Leaf and Sweetsalt Food Shop. Nearby restaurants include Kabosu Japanese Cuisine, Malbec Argentinian Cuisine - Toluca Lake and Forman's. 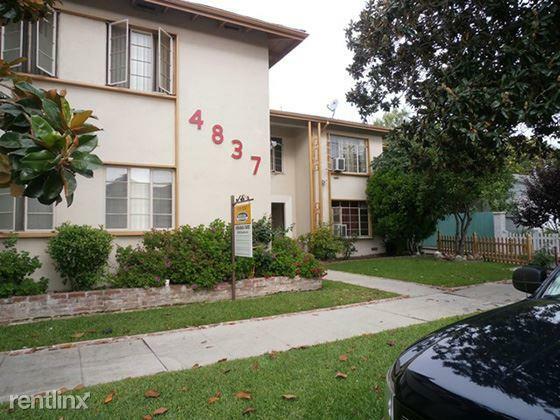 4837 Clybourn Ave is near Campo de Cahuenga, North Hollywood Park and El Paseo Cahuenga Park. There are minimal bike lanes and the terrain is flat as a pancake. 4837 Clybourn Ave is bikeable, there is some bike infrastructure. This address can also be written as 4837 Clybourn Avenue, Los Angeles, California 91601. 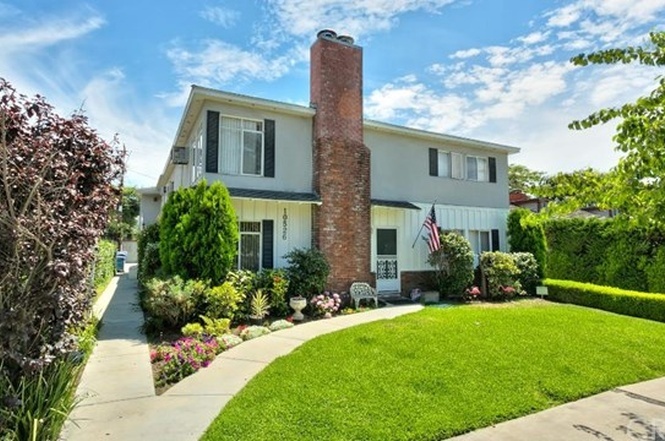 11915 Burbank Blvd is a multi-family home in Los Angeles, CA 91607. This 28,484 square foot multi-family home sits on a 0.68 acre lot and features 46 bedrooms and 50 bathrooms. This property was built in 1963. Nearby schools include A Mother Goose Academy, Adat Ari El Day School and Princeton College Preparatory. The closest grocery stores are Tashkent Produce, Oxnard Liquor Market and Odessa Grocery Inc. Nearby coffee shops include Starbucks, 7-Eleven and 7-Eleven. Nearby restaurants include Don Zarape Mexican Food, Papa John's Pizza and Catering Los Angeles. 11915 Burbank Blvd is near North Hollywood Park, Valley Plaza Park and Victory-Vineland Recreation Center. There are excellent bike lanes and the terrain is flat as a pancake. 11915 Burbank Blvd is very bikeable, biking is convenient for most trips. This address can also be written as 11915 Burbank Boulevard, Los Angeles, California 91607. Want your Property Featured Here? Tina Will Help You Sell it Fast! Tina Will Find it and Make it Yours! This is why you should work with Tina Smith. Tina Smith is a Residential & Commercial Realtor, ranging from multimillion-dollar Estate properties to first-home purchases to office and multi-residential apartment buildings. Being a California Native, one of Tina's greatest assets is her comprehensive knowledge of all the best neighborhoods and their offerings, from the San Fernando Valley to the Westside. Tina has been a Realtor for 13 years and currently resides in Toluca Lake with her husband David and several rescue animals, where they purchased a home and became actively involved with the community in 2006. 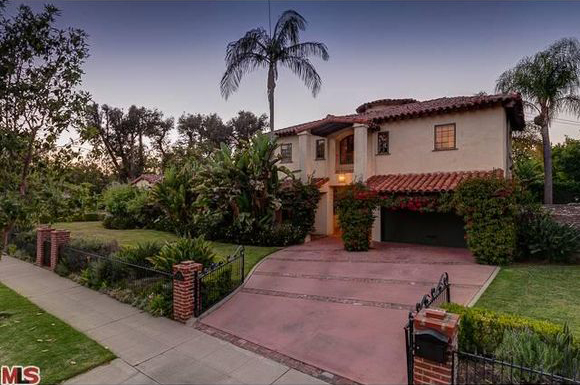 Her love of the area was due to many factors, but primarily the beauty of the older classic architecture from the 1920s that is becoming more challenging to find in the San Fernando Valley. Tina's hands-on approach, determination, strong work ethic, accessibility and exceptional communication, problem-solving and negotiation skills together have made her a top producer in her field, consistently ranking within the top 10 agents in her office since 2009. Additionally, in 2012, Tina received the prestigious title of Estate Director, for selling multiple properties over $3,000,000 within a three-year period, being the only female in her office to receive this honor. Tina's schooling was all in the local area—Walter Reed Jr. High, North Hollywood High, and she graduated from Woodbury University in Burbank with a Bachelor of Science degree in 1996. Tina's local ties to the area have proven to be one of the key components to her success, as she has amazing business contacts and a sizable sphere of contacts that she has built throughout the years and stayed in close contact with. Tina's patience, knowledge and expertise in her field has amassed an overwhelming base of devoted clients as well as a substantial referral network upon which she has built her business, particularly in the entertainment industry. She effortlessly guides her clients through the escrow process with finesse and the understanding that buying or selling a home is usually a person's largest lifetime investment. While this can be a serious and stressful time for buyers and sellers, Tina's clients have often commented on how fun process was due to how relaxed she made them feel with her down-to-earth personality and great sense of humor. Tina also physically and monetarily helps various charities, specifically cancer research and animal-related charities and rescues. At the close of every transaction, Tina rescues at least one animal through S.T.A.R.T. which is pulled from a California shelter and transported to a safe haven in Oregon, where it resides until a permanent loving home is found. Saving a life that cannot save its own is her passion! 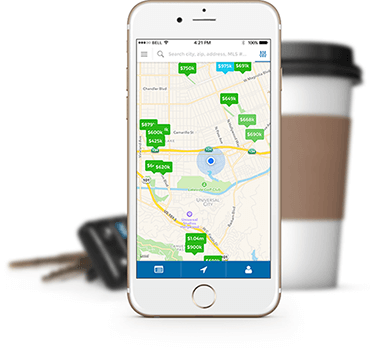 Locate homes and open houses while on the go! Find your dream home with Smart Property Search and Filter Options. Navigate to properties near your geographic location with turn-by-turn instructions. Save and share your favorites properties via text or email. Easy-to-use mortgage and finance tools to estimate your monthly mortgage payment. Contact Tina with a touch of a button. Get Tina's Home Search App Today! They're not making it anymore." Want to Buy an Investment Property? Get the Right One with Tina! Read what Tina’s clients have to say. "I've known Tina Smith for 10 years. She has sold me three properties. 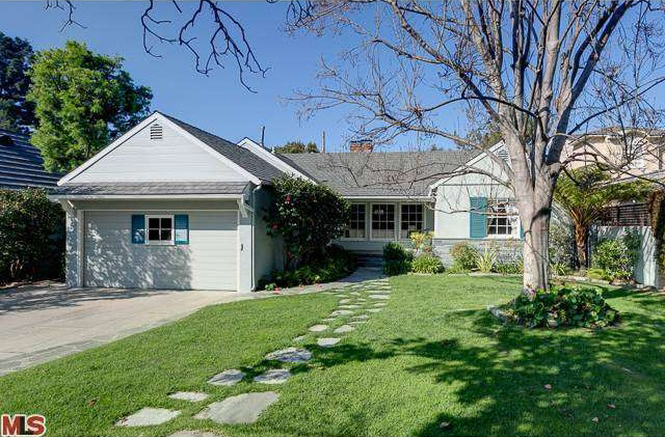 Two in Toluca Lake and one in Studio City, including one off market. I have referred her many many times to many many friends, business managers and others in and out of the entertainment industry. 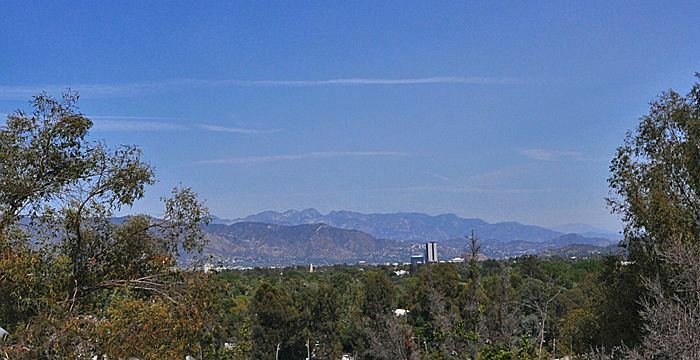 As a long time Toluca Lake resident and Los Angeles native, she is an absolute expert in the San Fernando Valley. She has a great list of trusted contacts and contractors. Aside from being brilliant at what she does, she is completely trustworthy, honest, sweet, fun, and tough as nails. In addition, she has just the right amount of no nonsense, razor sharp street smarts to negotiate an amazing deal with her client's best interests in mind. When you work with Tina, you are dealing directly with her, not unlicensed assistants who don't yet possess the real estate knowledge necessary for great client service. She is accessible 24/7, she has excellent communication skills, and she works tirelessly on her client's behalf to make sure every transaction is easy and stress-free." "It's a pleasure to take this opportunity to talk about our experience with Tina Smith. Tina is so pleasant, so knowledgeable and so very patient. Tina was very generous with her time and her knowledge both on and off the clock. She answered endless questions for us. Took constant phone calls from us. And re-answered the same questions we had asked before. Did I say Tina was patient?!? We had a location we wanted to stay in, definite wants and needs we wanted to be reached and an amount of money that was not very negotiable. Tina stuck with us. Tina stayed with us. Tina taught us. Tina reassured us. Again and again. Tina Was there 100% for us and with us in every way. The end result for us was a home in the neighborhood, in the price range with our wants and needs met. Michael and I could not be any happier with one person than we are with Tina Smith. Do not believe for a moment that we would be where we are today emotionally and or physically without Tina Smith. Thank you Tina for everything!!! You are the best!!!" 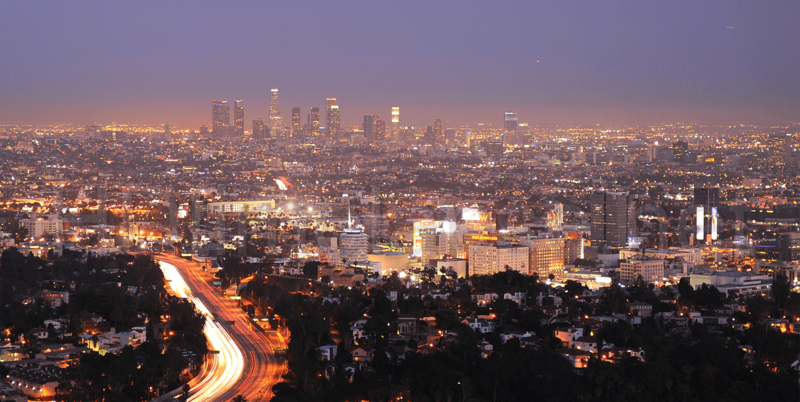 "Tina Smith is the best realtor in all of Los Angeles. We were referred to her by a friend, who was referred by another friend, and another friend, and so on. So we knew she had an excellent reputation as we began our home buying process. But she exceeded our already high expectations. Tina is thorough, patient and incredibly generous. She also has a very sharp eye for what makes a good investment. She's got the killer real estate instincts of a shark and the demeanor of a kitten. It's a pretty amazing combo. My husband and I were first-time home buyers and she walked us through every single detail of the overwhelming process. She quickly answered our panicked emails at all hours of the day and night - and always was very thorough in her responses. I'm sure we must have irritated the heck out of her with all our questions, but she NEVER ONCE hinted that we were annoying. It was impressive as hell - i mean, we annoyed ourselves with all our questions. She also has a million connections to any and everyone you might need from inspectors to plumbers to contractors. Tina is a gem of a person and simply the best realtor we've ever encountered. Do yourself a favor and make the home buying process a fun one with Tina." "As a first time home buyer I had many questions about the home buying process and about the different neighborhoods within the LA Valley. Tina not only took time to answer my many, many questions, but she drove us to every possible home from the west to far north end of the Valley that fit our must have list. Even after weeks of being disappointed by homes that turned out to not quite be our dream home, she remained positive that we would find it soon and not to give up hope. Well she was right! She soon found a wonderful house that wasn’t on the market yet, but had a preview that afternoon and so met me there within 30mins. Tina immediately went to work on negotiating with the listing agent since several people were also very interested. Tina ultimately made an impression and by the end of the week they choose our offer out of many others. She assisted me step by step with all the detailed home buying paperwork, inspection and before we knew it we had the keys! Thank you Tina for your patience and dedication." "Being a first time home buyer was both exciting, and a little scary too. That’s why it was so nice having Tina Smith as our realtor. She made the process fun, and she helped us understand all the in’s and outs of buying our first home. When we first met Tina she really listened to what we were looking for in a home. Every time we went out with her, she knew exactly what was right for us. Once we found our dream home, and I will never forget that day :) Tina directed us on exactly what to do. She wasted no time. As the process began, Tina shared in the excitement with us, and helped to calm our nerves. Buying a home is one of the biggest decisions we have made in our life. Tina is absolutely wonderful, and will continue to refer her to as many people as we can." "We've been in our home for 4 years now and Tina is still there for us whenever we need her. We were first time homebuyers and she guided us toward a house and neighborhood we love and walked us through the process so we felt informed and protected every step of the way. She clearly loves what she does and she's great at it. When it's time to move again Tina will be my first phone call!" "Tina was the best! She never stopped working on my behalf, even when things got complicated. Her strong work ethic and positive attitude kept my home buying process smooth and painless. I highly recommend her to all my friends!" "Tina is the most thorough, responsive, thoughtful, kind and patient real estate agent and person we could have ever dreamed of working with on the purchase of our first home. My husband and I were very new to this process and Tina fielded endless questions from us and I swear we never waited any time at all to get answers. To this day, I still email her with lots of questions and she gets back to me right away with thorough answers. Tina was referred to us by a close friend, but as we started telling other friends about our house search, there were five other people who told us about their amazing agent and it was always Tina!! If we ever decide to purchase another home, I am looking forward to starting up that process again with Tina." "If you are looking to buy a house, I cannot recommend Tina Smith highly enough. She is the VERY BEST in her field. I was warned of how tough buying a house is, and what a grueling experience it is. Then I met Tina and had the easiest, most stress-free and FUN experience. Tina is so knowledgeable and plugged in to every aspect of the housing market. She was available 24/7 to answer any and all questions I had. I'm a worrier and have tons of questions from ridiculous to relevant. She answered every single one promptly with a thorough, honest answer. She gave great guidance without being pushy. She works in a way that lets you be in control,while having the best advisor and advocate on your side. She helped me get my dream house in a very tough market. She didn't stop there though. She set me up with a great mortgage broker. She set me up with a great floor guy who did excellent work. She set me up with a great inspector and plumber. She has a great network of people that she gives you access to. To this day, I still contact her with questions and she continues to help me as if we were still house hunting. I feel so lucky to have worked with her and will always wholeheartedly recommend her to anyone who wants a wonderful, safe and secure experience buying a house. Oh and while I only had experience BUYING a house with her, if I ever sell you better believe she'll be my selling agent." Are you interested in buying or selling a property? Send a message to Tina and she will contact you within 24 hours. Founded in 1976 to provide independent brokerages with a powerful marketing and referral program for luxury listings, the Sotheby's International Realty network was designed to connect the finest independent real estate companies to the most prestigious clientele in the world. Sotheby's International Realty Affiliates LLC is a subsidiary of Realogy Holdings Corp. (NYSE: RLGY), a global leader in real estate franchising and provider of real estate brokerage, relocation and settlement services. © 2019 TinaSmithHomes.com. All Rights Reserved.